I was invited to attend Macy's Culinary Council featuring a cooking demo with Chef Takashi Yagihashi. I was so excited, as I have been dining at his restaurant, Takashi, located in Bucktown, since it's opening in 2008. His cuisine, featuring incredible authentic Japanese ingredients, has shaped my palate and knowledge of this type of food. Because of him, I became a soba noodle addict. His cookbook, Takashi's Noodles, is one of my favorites, and it's a must have for anyone serious about cooking Japanese. It was a lovely afternoon with a demo that "intrigued" everyone. He was very hands on and passed around for everyone to learn about kombu. 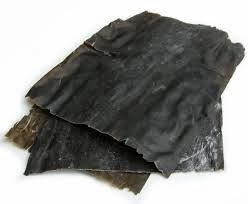 Kombu is an edible kelp that is used extensively in Japanease cuisine. It's used to make one of my favorite stocks known as dashi. Yakitori is one of Japan's most beloved comfort foods; restaurants specializing in these grilled chicken skewers can be found everywhere. Chefs typically work in the open BBQ counter, slowly searing the chicken over natural Japanese oak charcoal. The key word here is "slowly"-the secret to delicious yakitori is to carefully caramelize both the meat and the sauce coating it. To achieve this, yakitori chefs grill over moderate heat and alternate turning the skewers and dipping them into tukedore, the traditional sweet savory grilling sauce. The result is a wonderful rich flavor and aroma, and a beautiful deep amber color. How do I make this at home? You don't have to be a professional chef to grill amazing yakitori. 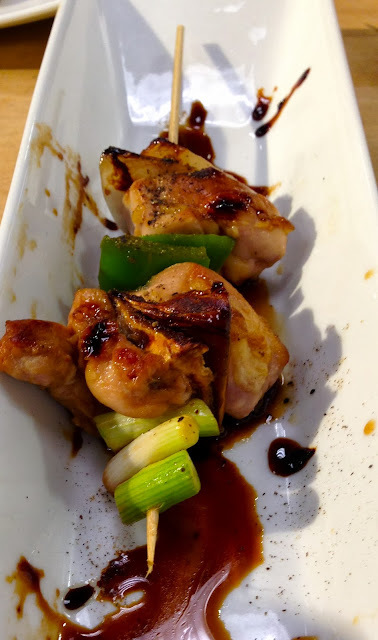 This dish is also popular among Japanese home cooks, Takashi showed us how to achieve yakitori bliss. These skewers are perfect for a party, picnic, camp out, or a football tailgate. You can prepare them over a stove up grill or or outdoor barbecue. Also, the skewers can be assembled and the tukedare sauce can be prepared a day ahead of time. Yes, you can make a vegetarian version of this dish by substituting chicken with tofu cubes and your favorite Japanese vegetables like, shishito peppers. Shumai is a Chinese import that's a popular dish in casual restaurants, and is also a staple of Japanese homes, where it's enjoyed as a snack, appetizer, or a dinnertime side dish (but never as tha main dish). Leftovers hold up well and can be polished off the next day, or packed into a lunchbox or a picnic basket and eaten at room temperature. 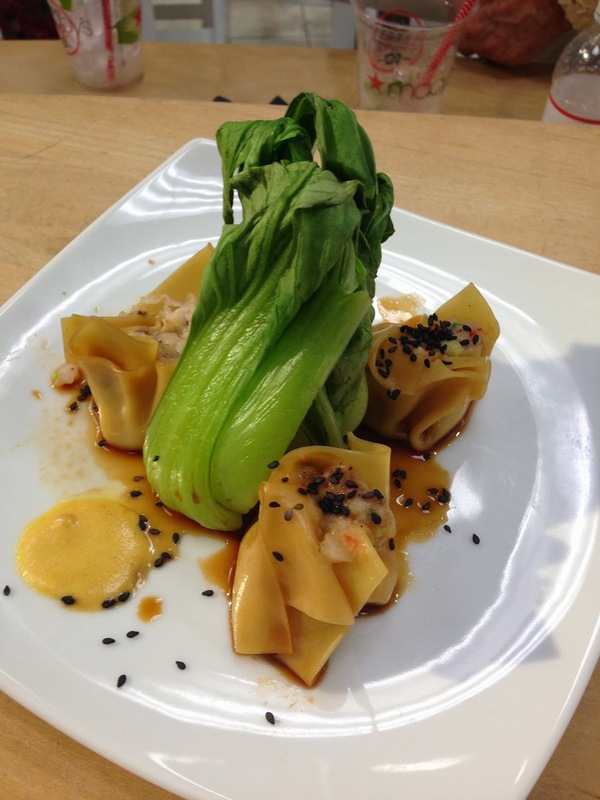 You can also freeze uncooked shumai for up to a month. 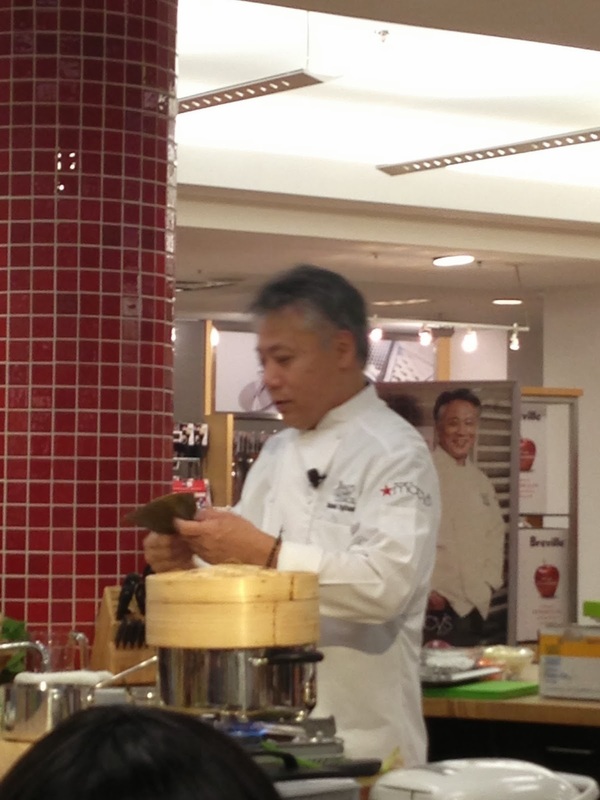 Takashi mentioned his daughter is addicted to this dish! His fried chicken is marinated with traditional Japanese aromatic flavorings and served with a refreshing and savory slaw. You can enjoy this versatile dish hot and crispy, or pack it for a picnic, or a pot luck dinner and eat it at room temperature, and it travels extremely well. Tatsuta-age is also a perfect leftover food. It keeps in the fridge for several days without losing flavor, and you can turn the boneless chunks into a delicious sandwich. When Takashi was a kid, his mother often included this fried chicken in his lunches, a treat he shares with his children today. Make sure to use the chicken legs and thighs with skin-on because it has much more flavor than chicken breasts. Takashi combined all three dishes into a "lunchbox" or "to-go box"
I can't wait to make these recipes on my own and share them with you! I've been lucky to met Takashi at the Common Thread's World Festival earlier this year. During the Macy's Culinary Council event we got to catch up and discuss all our upcoming projects. I also ran into Takashi at Chicago Gourmet, we both enjoyed the beautiful Fall day at Millennium Park as he hosted the Grand Cru and participate in his book signing. or go to pick-up his sushi at Plum Market in Old Town. 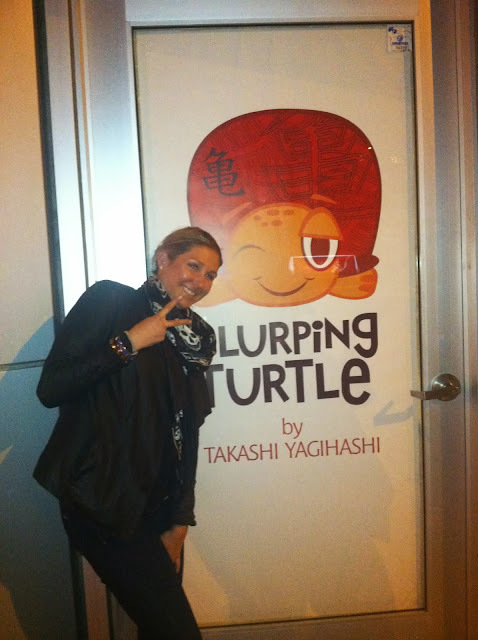 On my last trip to Chicago a few years ago I ate at Takashi and it was amazing, I will definitely go back there again on a future trip. It was also fun to see him on Top Chef Masters!